WOWride women’s road cycling club in Vancouver, BC | WOWride women’s road cycling club in Vancouver, British Columbia. 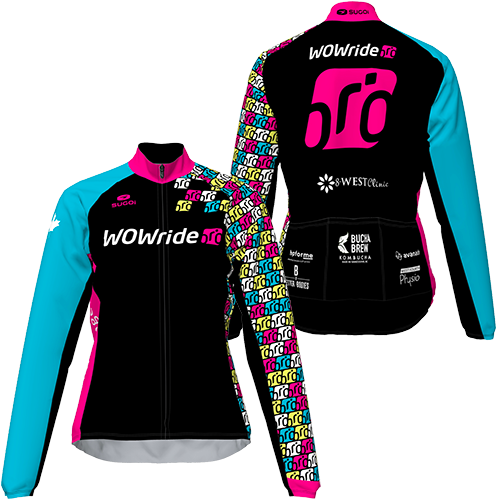 WOWride connects like-minded, dynamic female cyclists to ride strongly together in a fun, safe environment. WOWride members ride a road bike at AVERAGE speeds of 23-35 km per hour (average includes all terrain) and have a base level of fitness and bike experience. They have joined WOWride to hang out with awesome women while improving their bike handling/group riding skills and of course to share some laughs. If this describes you or where you want to be this season, then WOWride Cycling Club is for you. Make Sure You Can Keep Up With The Group! Ride at a steady speed and a comfortable distance behind another rider, ride straight and in control when fueling and communicating, and ride clipped in at a minimum speed of 23km/hr for a minimum 50 km ride. Tune up your bike, clip in and be part of WOWride Cycling Club. Be “WOW’d” by what you can achieve on a bike. By women, for women. We are stronger together. Registration for our incredible 2019 season is open February 1st! Annual membership fee is $210. 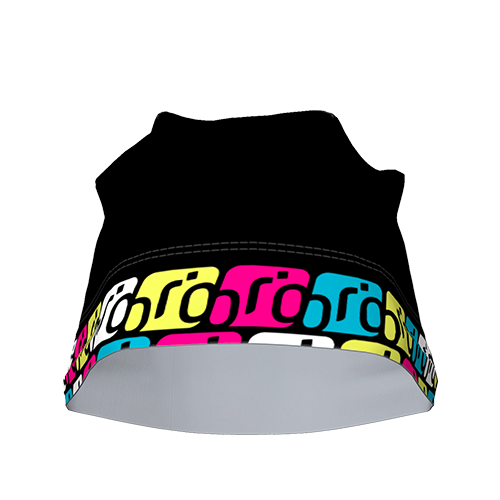 Get the WOWride look from head to toe. 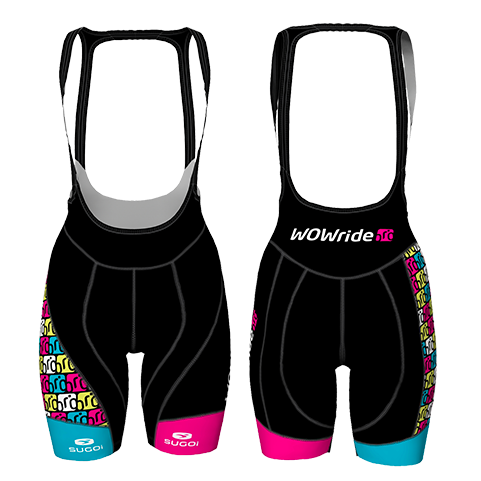 Download this custom fit guide to our WOWride kit. 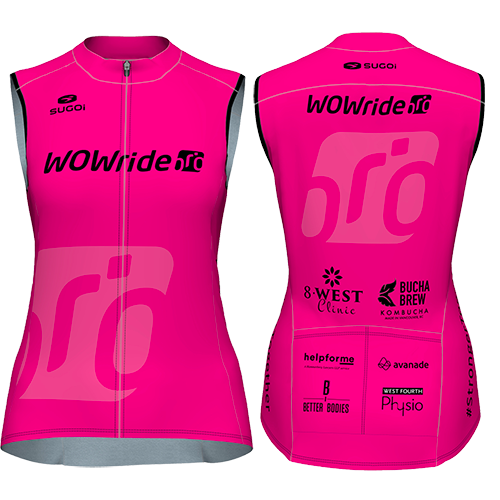 WOWride connects like-minded dynamic female cyclists to ride strongly together in a fun, safe environment. 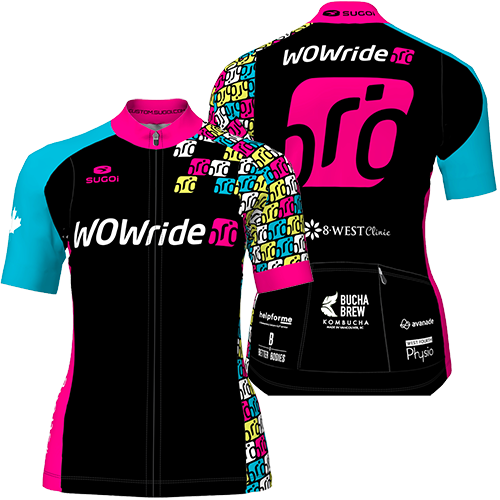 Get the official WOWride kit now! Click here to order. WOWride Cycling Club is a proud member of Cycling BC.